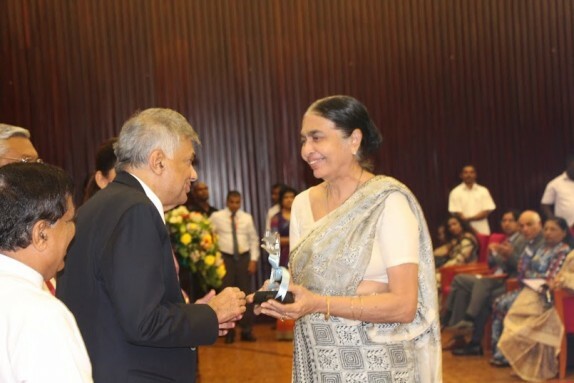 Sri Lanka’s Prime Minister Ranil Wickramasinghe spoke at an event to mark International Women’s Day organized by the Women Parliamentarian’s Caucus in partnership with us, UNFPA, UN Women and the UN Resident Coordinator’s Office. During his speech, he pledged to increase the political participation of women by 25% at the local, provincial and national levels through reforms of the electoral system, which are currently under discussion. Prime Minister Wickramasinghe also promised to improve the economic situation of Sri Lanka’s women, promote their involvement in the country’s post-war reconciliation process and introduce reforms to strengthen the existing legislation relating to gender-based violence. “We have already received suggestions and recommendations by the Women Parliamentarians’ Caucus detailing what kind of reforms should be made to the current electoral system to increase the percentage of women’s political participation to 25%. We have looked at these recommendations during discussions on electoral reforms that are currently underway between the election commissioner and representatives of the current government. In fact, the Caucus members themselves have had a number of discussions with the election commissioner. We will present all recommendations made by the Caucus also to political party leaders who will meet by the end of March or the beginning of April to negotiate and finalize the reforms. I think this will be a good experiment. I am committed to see this through,” the Prime Minister said. Around 300 persons including ministers, MPs, diplomats, and women political leaders and activists from all over the country attended the event. Guests included Chamal Rajapaksa, the Speaker of Parliament, Nimal Sriripala De Silva, the Leader of the Opposition, Subinay Nandy, UN Resident Coordinator, and Robyn Mudie, the High Commissioner of Australia. 25 women who have excelled in their professions received an award recognizing their achievements, while a series of panel discussions about the issues faced by women in Sri Lanka today concluded the forum. This is an important milestone of our efforts to increase women political participation, under a project titled Women in Local Governance, funded by Global Women’s Initiative by the US DoS. The project targets aspiring women leaders in the three districts of Ampara, Badulla and Kurunegala. 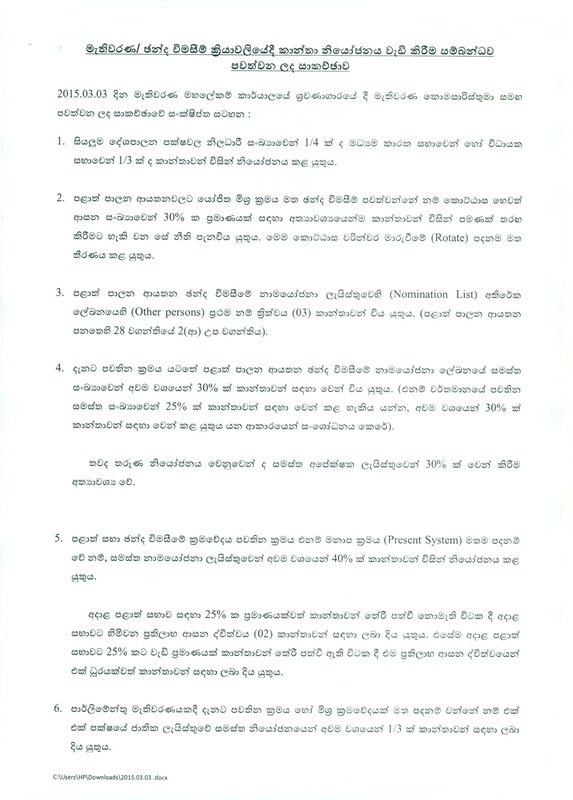 Supported by our national partners, Women & Media Collective and Association for War Affected Women, we worked closely with political parties to include provisions to increase women political participation as part of the ongoing legislative amendments to election law, particularly the Local Government Act.